Once you’ve committed to making a move into a new home, there is a long checklist to go through. It is important to switch over all your mail, bills and utilities. That process can take a few weeks to kick in. If you’re installing cable, then you’ll definitely want to set up that appointment early. Remember, everyone else who moves does so around the first of the month. Then there is all the packing to take care of. As you look around your current home, you might wonder how all this stuff is going to fit onto a truck. That is when you have to give serious consideration to getting rid of unwanted clutter first. That is where Junk King Miami can be a huge help. Typically, Junk King Miami helps homeowners clear out unwanted rubbish to free up storage space or clean up after a remodeling job. As you pack, you’re going to find a lot of things you can do without. The only reason to bring all that stuff with you is if you are rushing through the packing at the last minute. But if you plan ahead, then you can make sure Junk King Miami will get rid of all that stuff before the real movers show up on the big day. You don’t just have to turn over household goods or other clothes. You can also get rid of big pieces of furniture or appliances that you know you’re going to replace. Don’t assume that everything you’re turning over to Junk King is going to be trashed. Most of what is collected ends up being reused again. That’s because Junk King makes drop offs to charities on your behalf. It’s all part of their junk removal package. 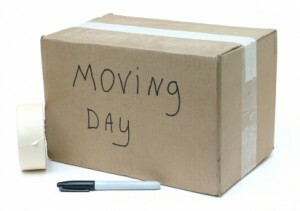 Between the time you give your notice and you move out, you’ll usually have 30 days. That is plenty of time to schedule Junk King. Once you know what you’re getting rid of book that appointment. You might score a same day pick up. Don’t move into your new home with all your old junk. Turn it over to Junk King Miami today. This entry was posted in Miami Junk Removal and tagged clutter, junk king, junk removal, new home on November 1, 2017 by Junk King. Last updated November 1, 2017 .